Shark-skin, Stingray, Alligator, Ostrich, Elephant, Kangaroo, various Snake and Lizard, African Bullfrog, Cape Buffalo, Shell Cordovan, and others. 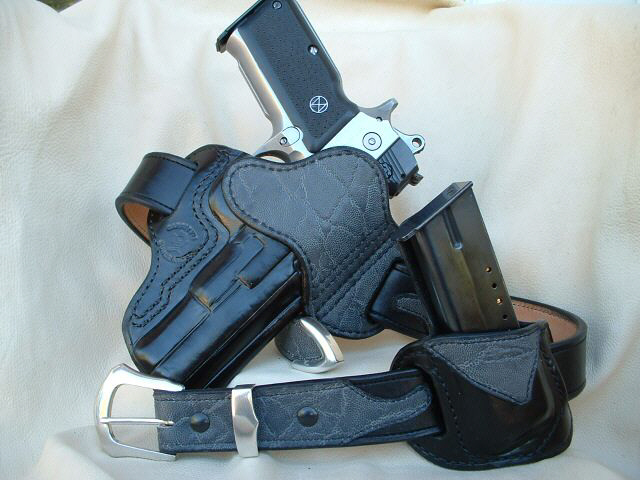 Call or e-mail for price quotes for the ultimate custom holster for your firearm. 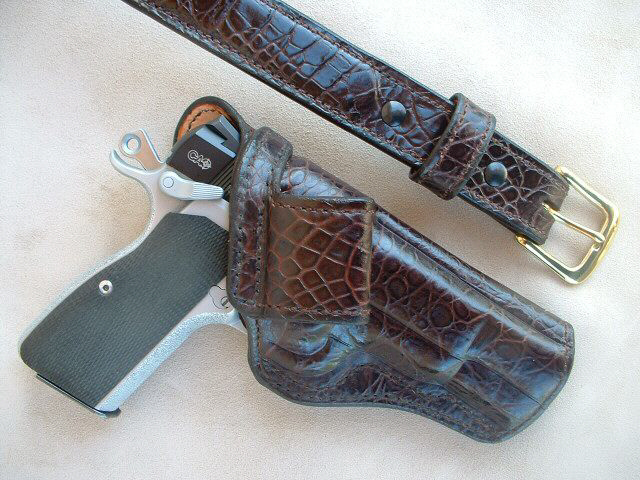 Prices are based on availability and degree of difficulty in working with certain exotics. 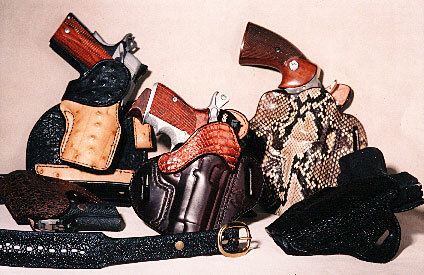 All full-coverage exotic holsters feature a smooth cowhide lining.